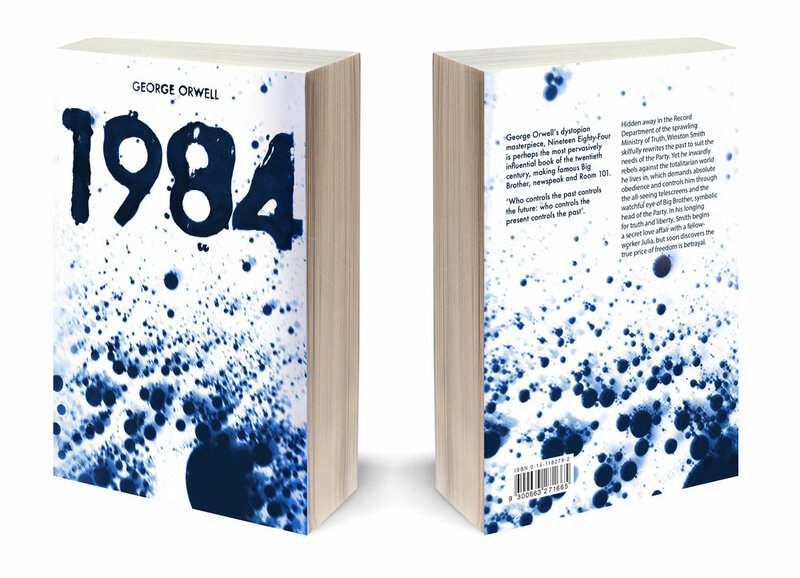 The 1984 design came from the concept of control. It was created by photographing oil and water as they resisted and controlled each others' paths. The stark colour palette echoes the sombre tone of the book and the inky-blue ties in with the fact that it was the act of writing used to rebel against the system. The Animal Farm cover was created by photographing smoke, wandering unpredictably through space. This reflects the main theme of the book - the twisting and fading of ideals. The use of smoke further symbolises the idea of corruption and deceit. The red and black colour scheme is reminiscent of the Russian Revolution protest posters, the era in which Orwell comments on. Student project.